The first committee deadline is almost here. Just 8 days from now every bill must be passed out of its committee of origin if it’s to stay alive for the rest of session. That includes HF309, the Minnesota Constitutional Carry bill by Representative Cal Bahr. But Rep. Tony Cornish, the chair of the Public Safety Committee, has yet to call a hearing and vote for HF309! With the deadline so close, this is very troubling news. So please take a moment and watch the video update below from our Director and take action! Now is not the time for us to back down or compromise. Now is the time to double down on the pressure and demand a hearing and passage on HF309, Constitutional Carry! After you’ve watched the video, please sign your ACT ON CONSTITUTIONAL CARRY NOW petition to Chairman Cornish right away! We will be delivering these petitions to the capitol next week so sign your petition right away and make your voice heard! With pressure from anti-gunners on both sides of the aisle to kill Constitutional Carry legislation, we can’t hold anything back. So sign your ACT ON CONSTITUTIONAL CARRY NOW petition to Chairman Cornish IMMEDIATELY and forward this email to your friends and family and have them do the same. 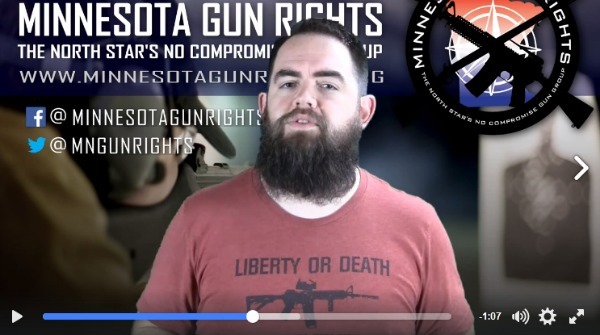 Thank you for standing up for gun rights in Minnesota.